Forever 21 is celebrating the last days of summer with a sale! 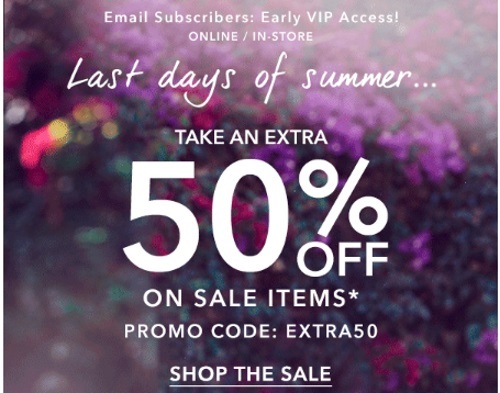 Save an extra 50% off sale items! Enter the promo code EXTRA50 at checkout. Offer is available for a limited time only.